With just one day to explore London, planning ahead will help you maximize your time and see as much as possible. 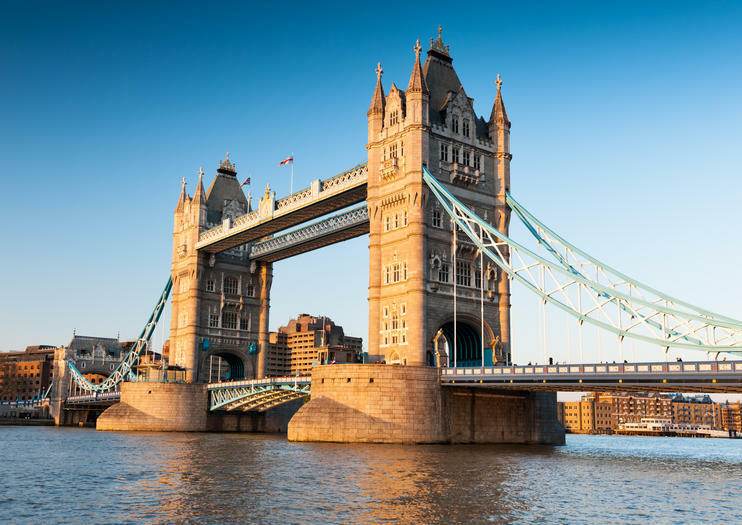 Every moment counts, so prebook skip-the-line tickets for top attractions, combine mealtimes with sightseeing, and fill your day with “only in London” experiences. Here’s how to see London in one day. Make an early start and set out on a convenient sightseeing tour of London’s top attractions before the crowds arrive. Follow in the footsteps of William the Conqueror and Henry VIII at the Tower of London and take a peek at the Crown Jewels. Climb up to the Whispering Gallery in St. Paul's Cathedral, take photos of Big Ben and Westminster Abbey, and then stroll through St. James Park to Buckingham Palace to watch the Changing of the Guard. A hop-on hop-off bus tour ensures that no time is wasted traveling between sights and allows you to create your own itinerary. Take photos from the open-air top deck as you pass Hyde Park, Piccadilly Circus, and Trafalgar Square. Perhaps hop off at Harrods for souvenirs, visit Madame Tussauds to snap a selfie with the queen, or take a ride on the London Eye for views of the city. Book tickets for your must-sees in advance—skip-the-line tickets to the London Eye or The Shard could save you from spending hours in line. For lunch, head to Covent Garden and grab a bite at the market or take a break at one of the many cafés or restaurants. London is most magical by night, and an evening dinner cruise along the River Thames affords prime views as you glide past illuminated landmarks such as Tower Bridge, London Eye, and the Houses of Parliament. After the cruise, stroll along the atmospheric Southbank and perhaps stop for a drink at one of the riverfront bars. Alternatively, head into London’s West End theater district to see an award-winning show such as The Phantom of the Opera, Mamma Mia!, or Wicked, followed by dinner at one of the restaurants around Leicester Square and Soho. Book your seat for the spectacular ‘Wicked The Musical’ London production at the Apollo Victoria Theatre. This big-hearted musical tells the story of the two polar-opposite witches of Frank L Baum's tale, ‘The Wonderful Wizard of Oz,’ bringing their unlikely friendship alive with jaw-dropping technical wizardry and unforgettable songs. With its powerful atmosphere and poignant storyline, the Wicked show has been casting a spell on adults and children since its opening. Choose from standard or top-price seats, and upgrade to enjoy a delectable 2-course Italian dinner before the show.